It has been remarkable to see over the years how people in the communities where we work have responded to the outreach events and the teaching. As a result, many families have changed their habit of cooking inside on charcoal or wood-burning stoves. Now they cook outside to avoid the harmful smoke inhalation that has so often contributed to sickness in their families. Simple stove shelters that we pioneered as a design to facilitate safe, waterproof, outdoor cooking, have sprung up like strange, corrugated tin mushrooms everywhere we look, in all sorts of shapes and sizes! A few weeks ago, we held another pneumonia outreach in Kawanga; a community that we have begun working in only relatively recently. 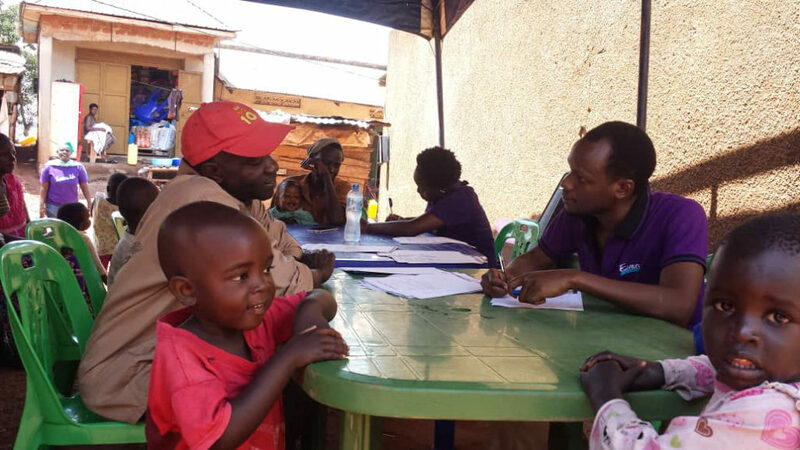 The team had taken a survey among local families and discovered that almost a third had lost a family member or had experienced health issues in line with the symptoms of pneumonia, particularly children under the age of five. 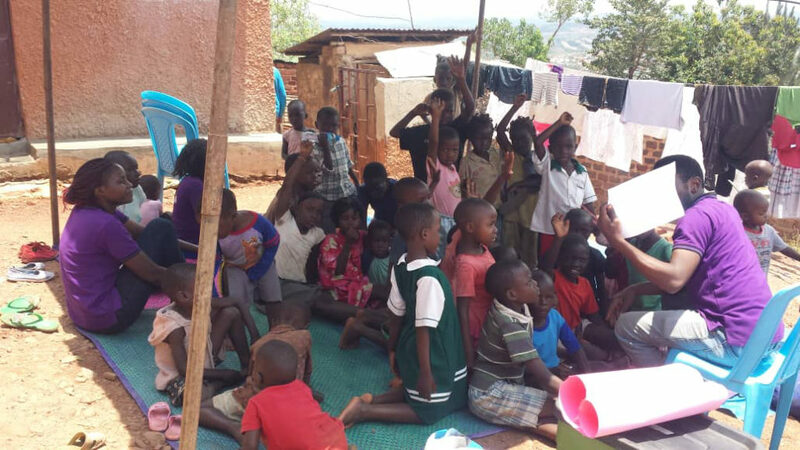 As a result, the outreach was planned and carried out with great success. 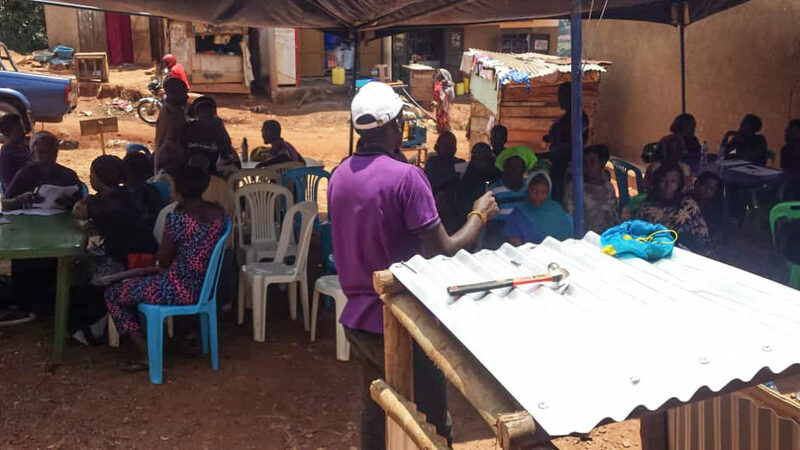 69 people from the community attended and helped to build 60 stove shelters. What a great response from an area where we have only been working for a short time! Not only that; our experience is that once people start building the shelters, friends and neighbours become interested and the knowledge and skills spread. 60 shelters is a great foundation for ‘fire without smoke’ in Kawanga. We want to see this avoidable disease eradicated from communities all over Kampala and anywhere else we can spread the word. Whether it’s through teaching parents and children, showing educational videos (you can watch one we made here) or helping people to have a safer alternative means of cooking. Partner with us in our work to see communities relationally, physically and spiritually thriving and give to Every Life International today.